The Kentucky Derby has a long storied tradition of Southern elegance, but this is only the side you see on television. 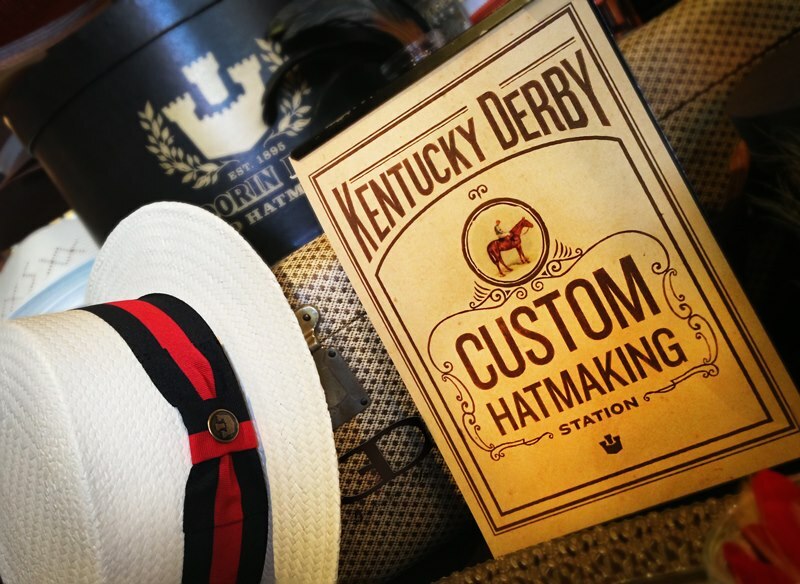 If you want to enjoy the Derby as a Gentleman should, then follow these steps. You have a big decision here: sit with the upper crust, or sit with the ‘masses’ – well, like we often do too. The Infield ($40): This is slightly better than a prison workout yard and worse than a tailgate in a muddy field. These tickets are available even until the day of the Derby, and it can be a shocking experience. Drunken college kids, wifebeater-wearing residents of more locally curated lands, and well-dressed young professionals all mix here, and it’s both a sight to behold and a place to avoid – or champion. The Infield Bleachers or Grandstand (depends on when you get them, but on sites like StubHub, this price can start at $150 to $300): With an actual seat, you’ll likely be comfortable and enjoy the event in style. But tickets like this are usually only acquired by lottery or purchased well in advance. Millionaires Row (a lot): If you’re truly a blessed, as they say, Gentleman and get a ticket here, then more power to you. But this is definitely the upper upper crust. Here’s the short of it: go big before you go home. For an eager Gentleman, buy a stunning suit or jacket (say, from J Michael’s in Nashville) and recommend a glamorous sundress for your lovely date. An easy way to go is a sport coat and trousers, and you can vary the colors. A cream colored suit or a navy jacket and khakis with a light colored shirt (pink or light blue) is a great way to look good. It would also help to buy a classy hat like a Panama or Fedora (take a look at Goorin Bros.’ store for some ideas). Another option would be a seersucker suit, and don’t be afraid to flash some color. Lastly, some nice shoes will complete the outfit – a pair of spectators will look amazing with that seersucker suit. Drinking is good…driving is good…but a Gentleman does not drink and drive. Arranging a car or bus to drive you to and from the Derby is your best bet to avoid the monumental lines outside of the Derby itself. There are also pedi-cab drivers outside who will ferry you and a friend around the exterior if needed. As you can imagine, thousands of tourists flock to Louisville every year for this event, so book your hotels and rides in advance if you don’t want to drive for the day. If you’ve arranged your tickets, suit, and ride… congratulations. Now all you have to do is survive the thousands of attendees, the heat and humidity, and manage to look good while enjoying your Mint Julep. Caveat – they’re often watered down, so get one if you want the souvenir glass, but otherwise avoid it. You might be thinking, it sounds pretty awful. But the reality is that if you prepare and avoid the carnage of the infield, then it’s actually a delightful experience. If your goal is spend the whole day there, eat a good breakfast, stay hydrated, and try to avoid a fistfight or a crazy drunken encounter. You will see classily dressed citizens and outrageously obliterated people, and you might even see [somewhat] celebrities. At the end, prepare yourself for a long wait to exit the facility and get home. Enjoy the ability to tell stories until you die. The Derby is like Carnival or the Super Bowl in that it’s a tremendous experience. But it’s one that can only be understood by actually being there. The cameras don’t show you every aspect of the Derby like the networks do with every pass, extra point, or touchdown. And there’s a priceless value from telling your friends how you saw Andre Agassi and Steffi Graf roll into the derby, then proceeded to watch a bunch of college kids fall into the mud (literally) and then watch an exhilarating horse race. Rarely will you have a chance to experience an event steeped in tradition, beauty, and elegance all at once. The Kentucky Derby is precisely that experience.